I don’t know who has been hired into the Cosmetics department at Turbine lately, but ever since the release of Rise of Isengard the armour designs and festival cosmetics have truly become something special. I am very impressed with everything that has been released over the past year (with exception of the Draigoch armour) and I hope that the team that worked on all these items is going to continue with this trend! 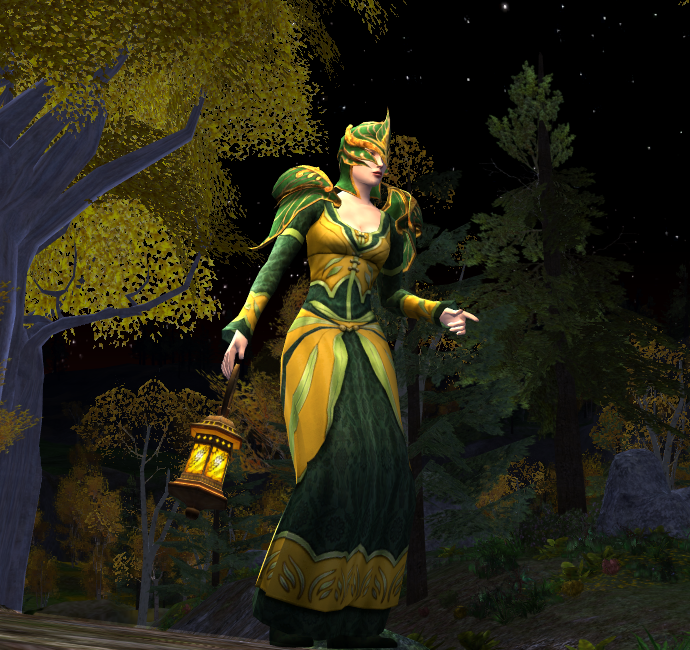 All older cosmetic items like the Spring Flinger Tunic and last year’s cloaks are also still available. I love the Spring Festival Horse and Cosmetics, I know it’s going to be a grind but I will savour every minute, knowing that these beautiful goodies are waiting as a reward! Thank you Turbine for giving us something so special! As has become a tradition on my blog, a preview of the new Spring Festival 2012 mount! I am absolutely in love with it and the matching cosmetics are just to die (or to dye) for. I’ll put up the preview of those later. This steed has been given a name that is commensurate with its looks: Simbelmynë Steed. Simbelmynë was the name given to the flower in Rohan, a name translated as Evermind: a reference to the memories of the dead on whose tombs the flower grew. Just like with the Anniversary horse, this mount costs 2 race tokens and 40 Spring Leaves. In return it does have 200 morale (previous festival horses have 100). Perhaps this is a new trend for Festival horses, more grinding but slightly better stats. At least it will keep me busy on the race tracks a bit longer!